You have the engagement ring, and now you need the perfect venue to bring your dream wedding to life. Whether you're a local resident or considering a destination wedding, Litchfield Beach & Golf Resort in Pawleys Island, South Carolina is the ideal setting for your upcoming nuptials. Read ahead to discover everything you need to know about planning your Lowcountry wedding. Litchfield Beach & Golf Resort is situated perfectly along the South Carolina coast in tranquil Pawleys Island. With warm summers and mild winters, its location in the coastal Carolina Lowcountry allows for outdoor events all year long. Whether you're planning a hot June wedding or a cool, Fall event, Pawleys Island is geographically ideal for your upcoming nuptials. Best of all, you'll be close to the excitement of the Pawleys Island, Garden City, and Myrtle Beach areas. When you plan your wedding with Litchfield Beach & Golf Resort, we can handle a wide-range of services in one streamlined package. That means you won't have to worry about organizing meetings, deliveries, and deadlines, and you can instead focus on the things that matter most on your wedding day- your celebration and loved ones! From a variety of catering options to audio visual rentals to facilities and attendant services, we have the venue, knowledge and experience needed to help you plan your dream wedding. The Litchfield Beach & Golf Resort is located along the beautiful Atlantic Ocean coastline, giving your wedding a setting that exudes the beauty of nature. With plenty of Palmetto Trees and local plants and flowers, your destination wedding will have a naturally chic and romantic atmosphere. 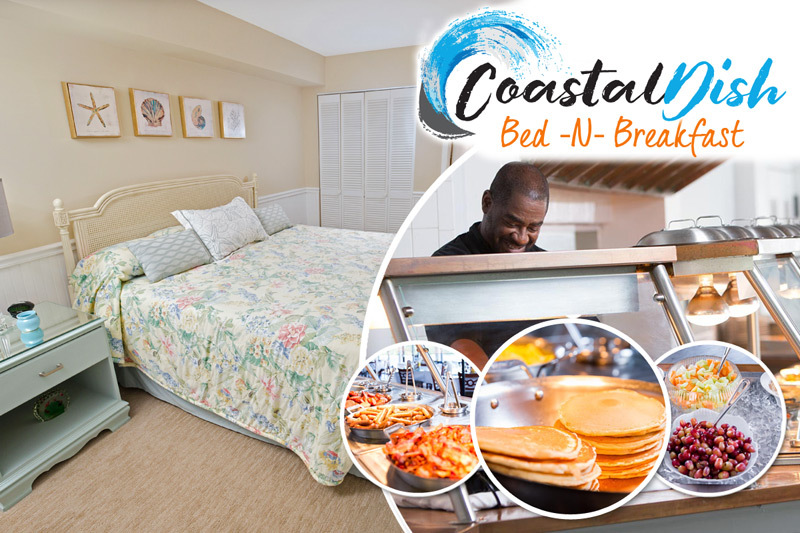 Another great perk of celebrating your wedding at Litchfield Beach & Golf Resort is that you and your guests can reserve accommodations at our variety of stunning vacation rentals. From our cozy 1-bedroom suites at Bridgewater to sprawling 4-bedroom Charleston-style homes, we have the perfect accommodations for everyone in your group! Keep your friends and family together throughout your wedding events by reserving a group block of units with Litchfield Beach & Golf Resort. When you plan your wedding at Litchfield, you and your guests who stay on-site will have access to the fabulous amenities of the resort, which include indoor and outdoor pools, award-winning golf, Beachside Health & Fitness, and on-site dining establishments like Coastal Dish Lowcountry Dining and The Deck Tiki Bar. Determining the site of your wedding is one of the most important aspects of planning your big day, and at Litchfield Beach & Golf Resort, we are committed to providing the care and expertise you expect to give you the wedding celebration that you have always wanted. For more information and specific options for weddings at Litchfield, visit our website or contact our catering office directly at 843-235-5591, toll-free at 800-845-1897 ext. 5591, or email weddings@litchfieldbeach.com.